A 2016 report by UNICEF, ‘’Out of School Adolescents Situation in Kenya,” indicates that adolescents in school between the ages of 10 to 18 years in informal settlements face significant risks that compromise their health, educational development and transition to training and employment opportunities. These risks are significantly higher for adolescents who attend informal schools. The report further indicates that dropping out of school is a major problem for adolescents as they leave primary school before the last grade and many do not progress to secondary school. The lack of sufficient schools’ public schools in Nairobi has led to the rise of informal primary and secondary school to meet the demand of the rising number of adolescents enrolling in primary and secondary schools. Kibera alone has more than 300 informal schools. The restricted, unsuitable and constrained physical structures of these informal schools do not support the holistic growth and development needs of adolescents, due to the lack of extracurricular activities that are critical to the cognitive and social development of a child. Coupled with the vast challenges found in informal settlements, young people who are out of school in dangerous social and physical environments are vulnerable to engagement in crime and substance abuse. Lack of secondary education also excludes them from employment opportunities in the future. Drawing from this data and learning from our education project, CFK has introduced a new model for working with youth ages 10-18 in curbing crime, violence and substance abuse. 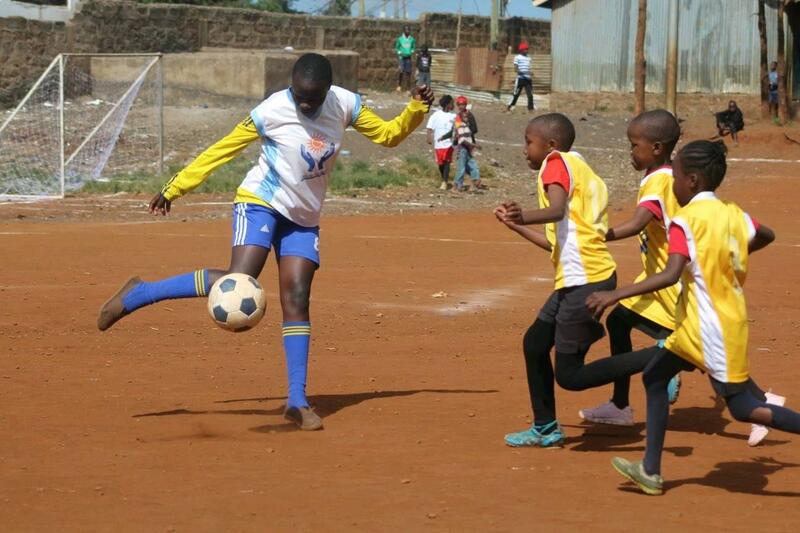 As part of our Youth Empowerment program, staff will utilize sports such as football, board games, and skip rope in school settings to engage youth, while also providing training and awareness on these and other challenging issues facing youth in Kibera today. By making school fun while instilling life skills on issues affecting youths, we are excited to support more adolescents in school and away from the idle time and influence that have detrimental effects on their lives and the community as a whole.